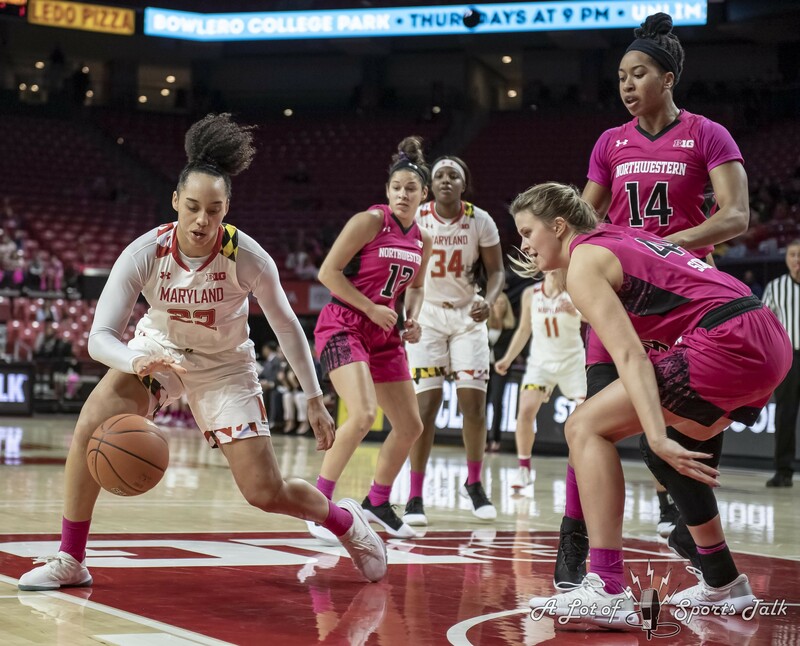 COLLEGE PARK, Md. 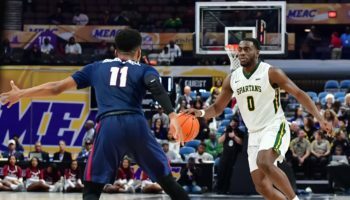 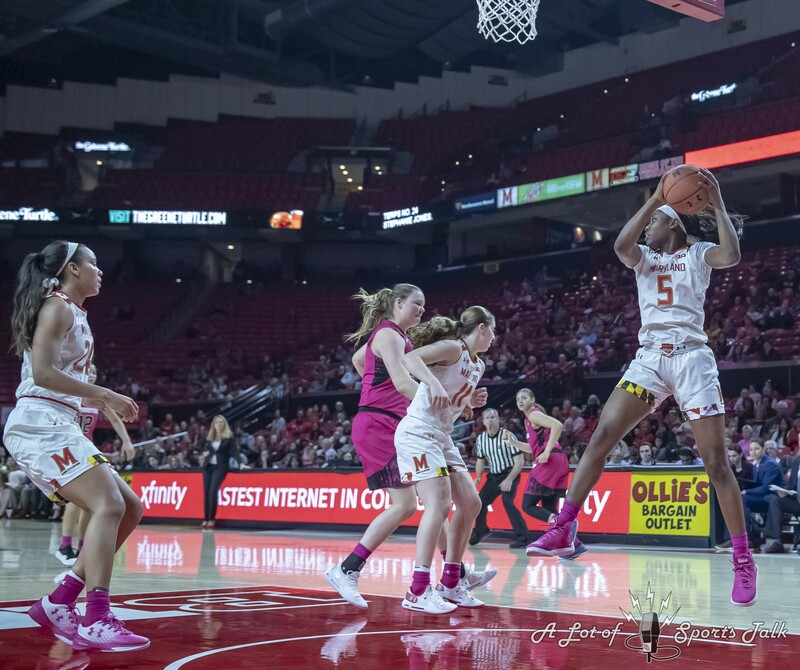 — If there was any worry that Maryland would be caught looking forward to a much-anticipated rematch against another Big Ten power slated over the weekend, that all but dissipated in the first 10 minutes of Thursday night’s contest. 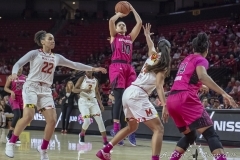 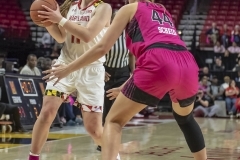 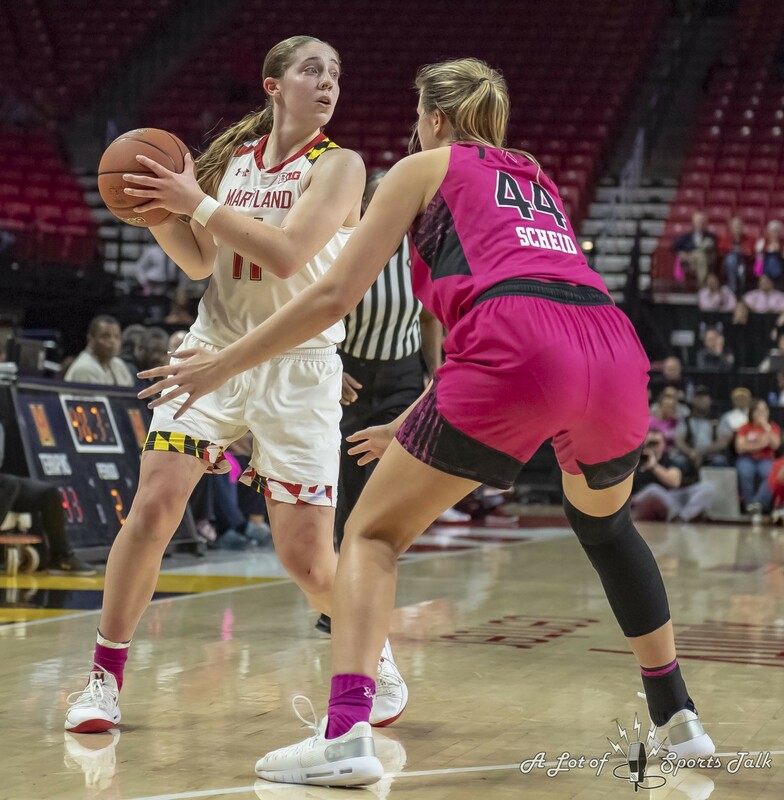 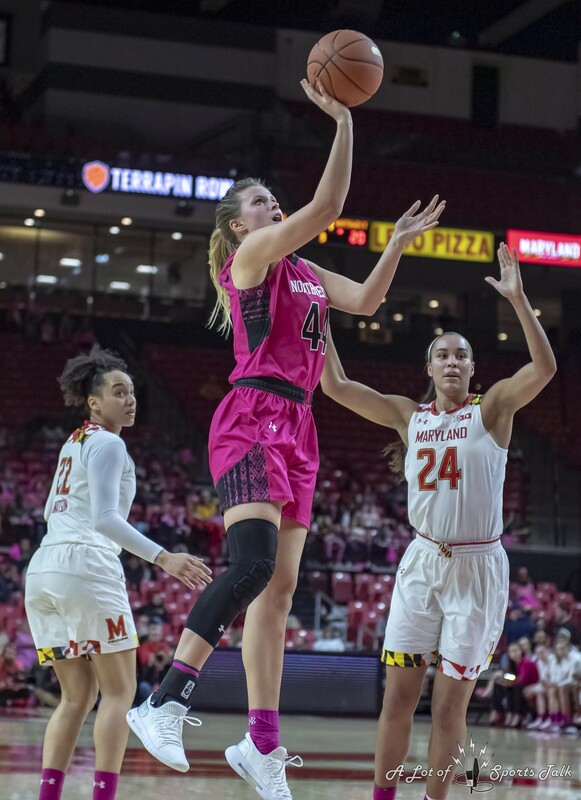 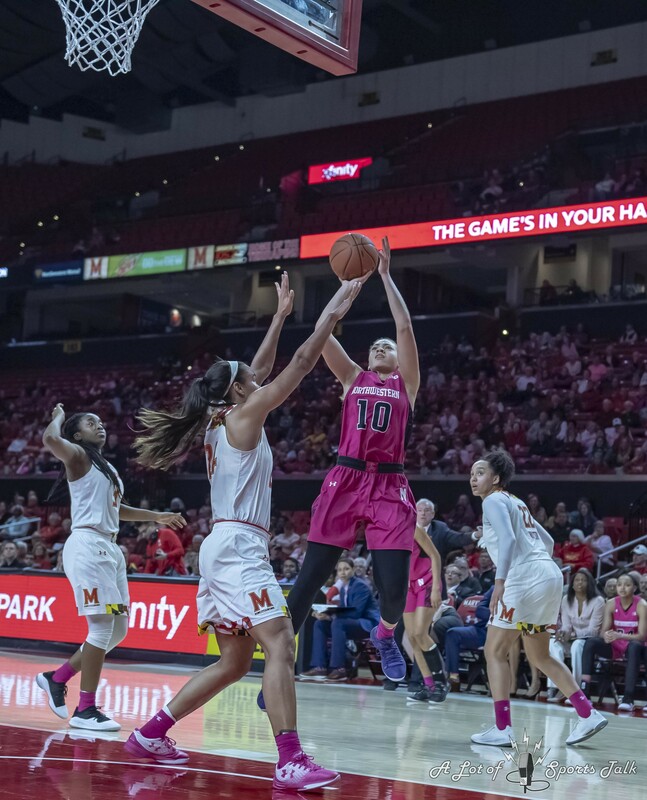 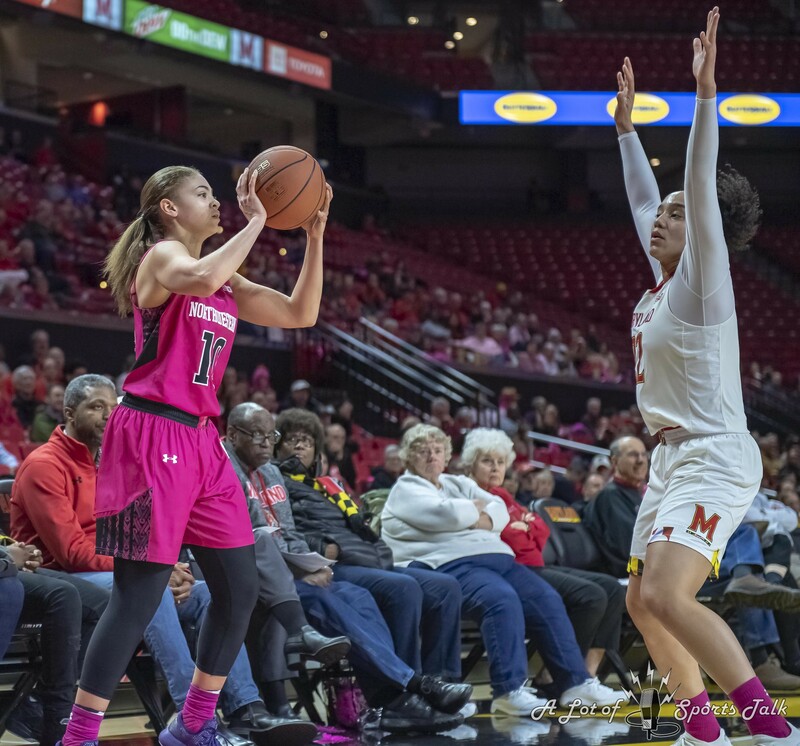 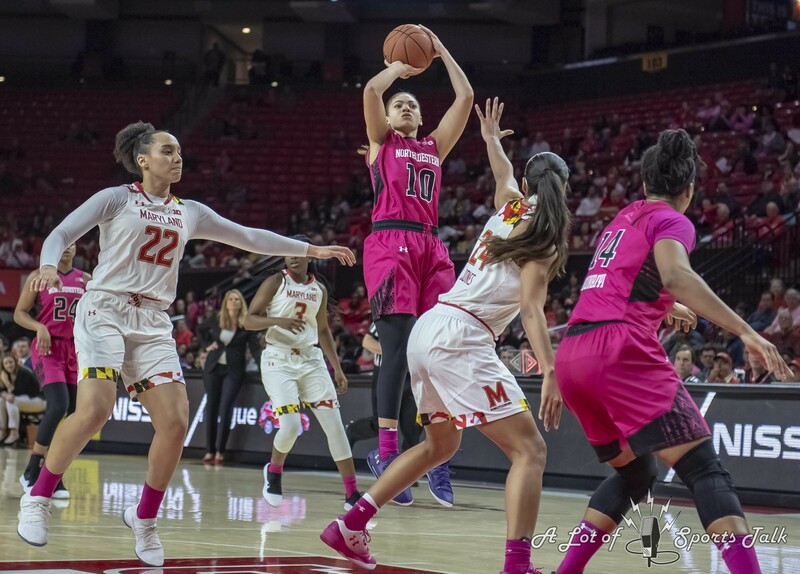 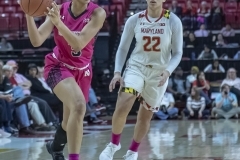 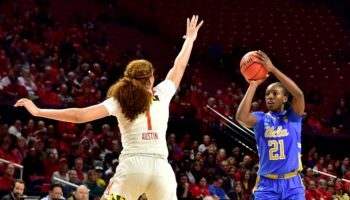 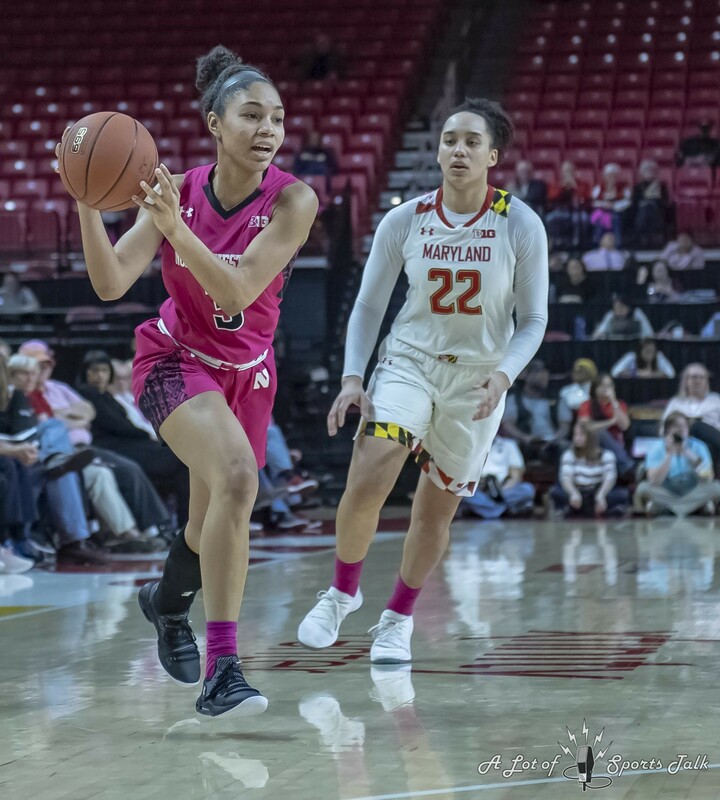 Forward Stephanie Jones made seven of her eight shots on her way to 16 points as the Terrapins defeated Northwestern 72-57 to win their sixth straight contest. 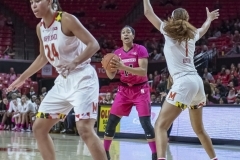 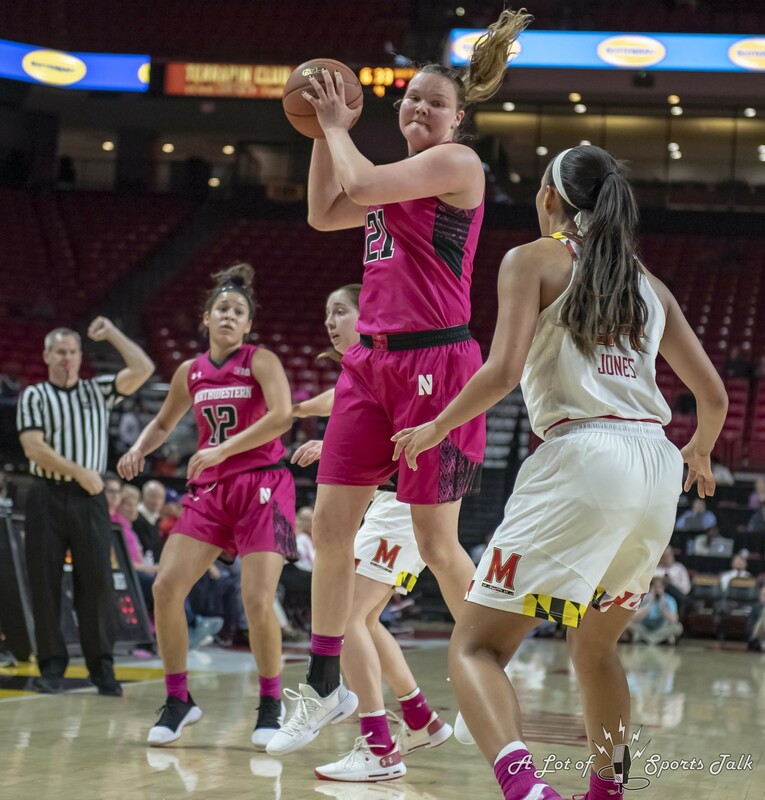 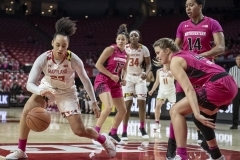 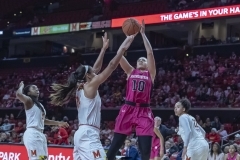 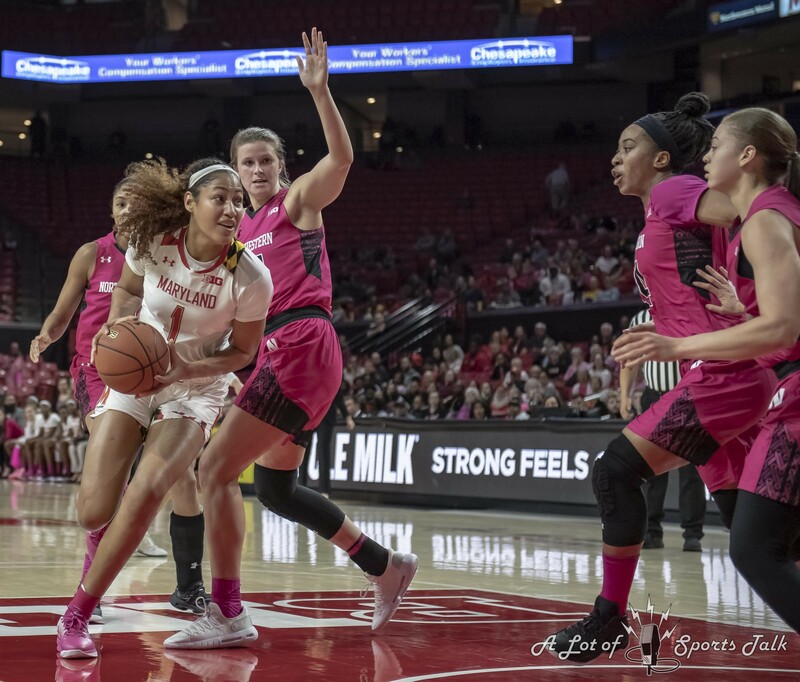 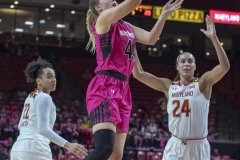 The win allowed Maryland (21-2, 10-2 Big Ten) to retake sole possession of first place in the conference, jumping a half-game in front of Rutgers, the team that handed the Terrapins their first loss of the season on New Year’s Eve. 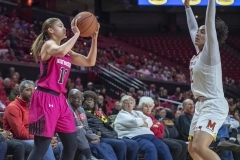 Maryland and Rutgers meet again in New Jersey this Sunday. 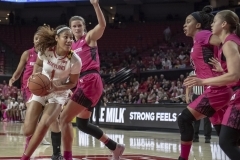 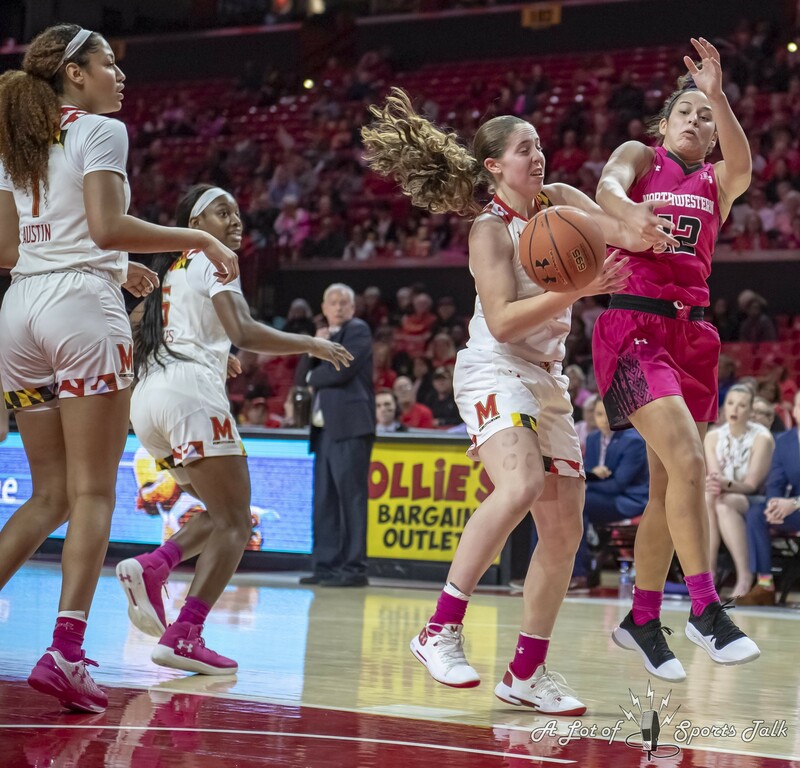 The Terrapins jumped out to a 22-8 first-quarter lead, powered by its staunch defense forcing the Wildcats to make just two of their 16 field goal attempts in the game’s first 10 minutes. 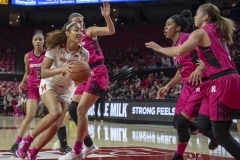 It did not get any better for Northwestern in the second quarter, as it went 4-for-14 as Maryland took a 41-20 lead into the intermission. 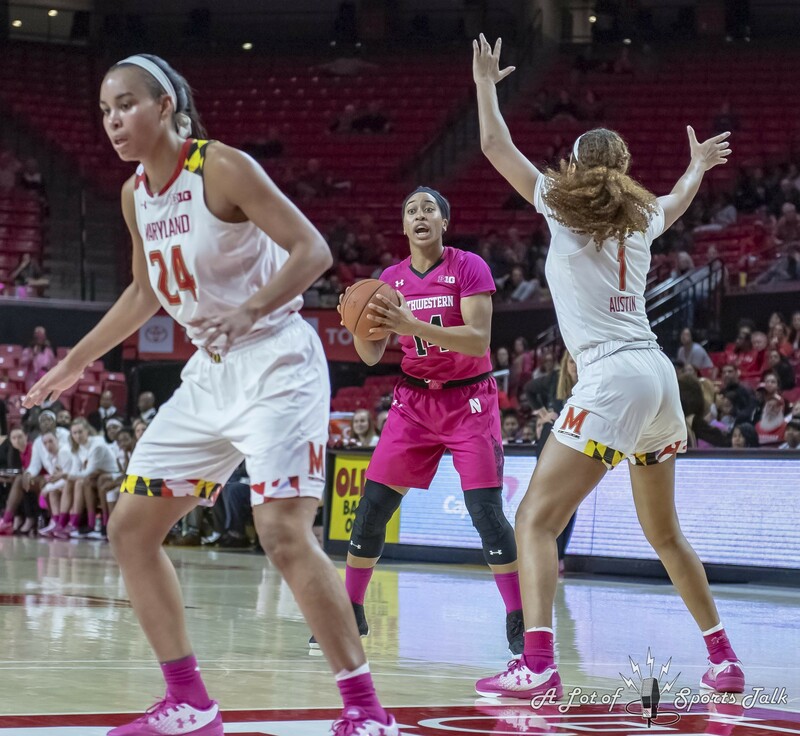 On offense, the Terrapins shot at least 50 percent in each of the first three quarters as four players scored in double figures. 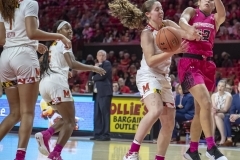 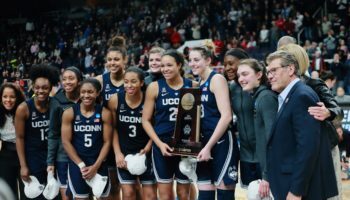 Guards Kaila Charles and Taylor Mikesell had 12 and 11 points respectively, while reserve Sara Vujacic chipped in with 10 points, including hitting both of her three-point attempts. 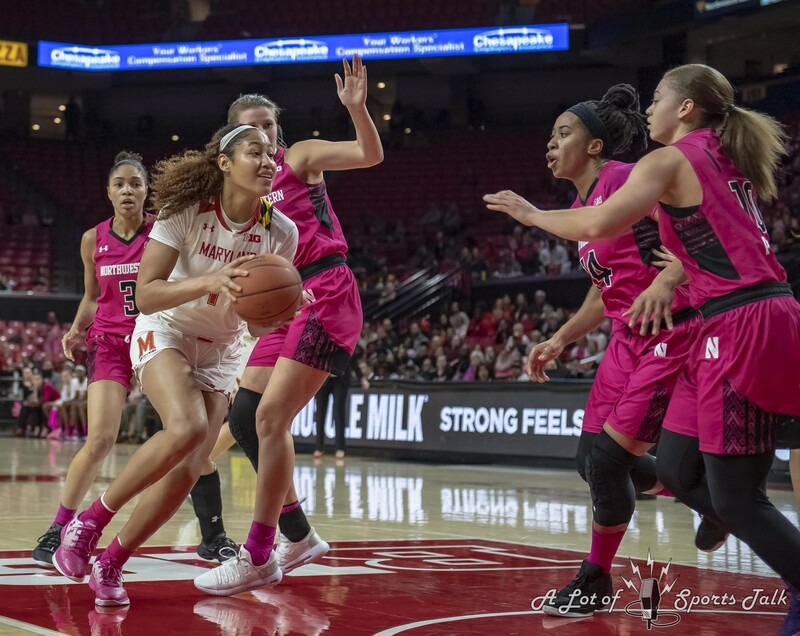 Another reserve, Channise Lewis, had five points and seven assists in 24 minutes. 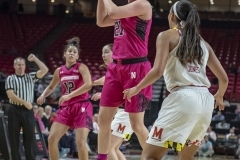 Guard Lindsey Pulliam led all scorers with 18 points for Northwestern (14-9, 7-5) while center Abi Scheid had 16. 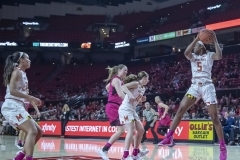 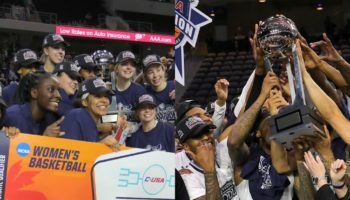 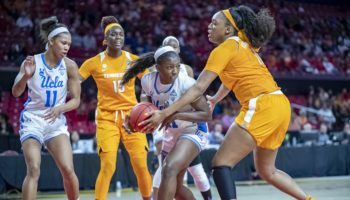 Forward Pallas Kunaiyi-Akpanah, who came into the game second on the team in scoring, missed all nine of her field goal attempts, finishing with just five points (all from the free throw line) while grabbing 13 rebounds.